Frederick, MD – The Tourism Council of Frederick County held its annual membership meeting and breakfast, Wednesday, October 28, at Adventure Park USA in New Market, Maryland. Approximately 85 people from tourism member organizations as well as elected officials and representatives were in attendance. Tourism efforts over the past year were reviewed and there was an official passing of the gavel to the new president of the Tourism Council board. Executive Director of the Tourism Council John Fieseler reviewed the efforts of the organization over the past year, from marketing to visitor guide distribution and group travel to work with travel writers. The Tourism Council recently explored native content advertising, placing articles on subjects such as bicycling and the 40th anniversary of the Saint Elizabeth Ann Seton’s canonization, on popular websites in other markets within driving distance of Frederick. Board Member Robert Black, owner of Catoctin Mountain Orchard in northern Frederick County, was recognized for distributing the most visitor guides in the past year. 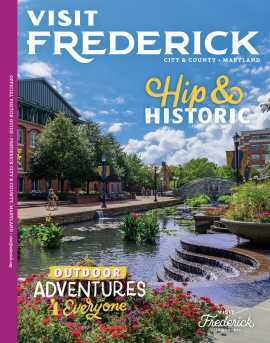 The visitor guide, Visit Frederick, is updated and printed annually by the Tourism Council and Jean Peterson Design. It showcases the best the county has to offer and is utilized by visitors and residents. Every year, 150,000 copies are distributed to those seeking information on Frederick County. Black has distributed the most visitor guides since 2009. Prior to the conclusion of the annual meeting, Tourism Council Board President Sean Quill, a Nationwide Insurance agent, officially ended his term by passing the gavel to incoming Board President Dave Ziedelis, General Manager of the Frederick Keys. Ziedelis has served as first vice president and will lead the tourism board for the next two years. 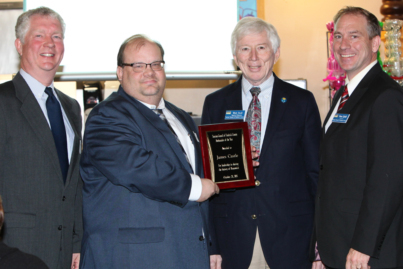 Photo Caption: James Castle was named as the Tourism Council of Frederick County’s Tourism Ambassador of the Year for 2015. Pictured, L->R : John Fieseler, Executive Director, Tourism Council of Frederick County; James Castle; Walt Stull, Tourism Council Board of Directors/Brunswick Council Member; Sean Quill, Tourism Council Board of Directors President. 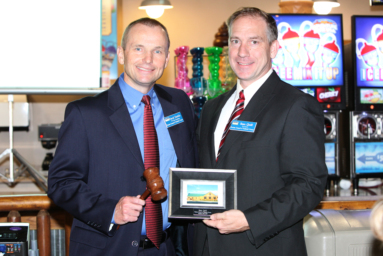 Photo Caption: Tourism Council of Frederick County Board President Sean Quill (right) officially handed over the gavel to Dave Ziedelis (left) as the new board president.